Thank you for Choosing to support Community Connections through your amazon purchases! Click the image below to be taken to the Amazon Smile page. You can sign in with the same email and password you typically use on Amazon. 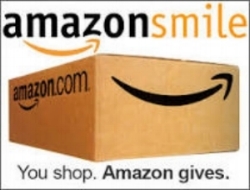 You can also paste this link directly into your browser and share with friends and family: smile.amazon.com/ch/46-2151761.